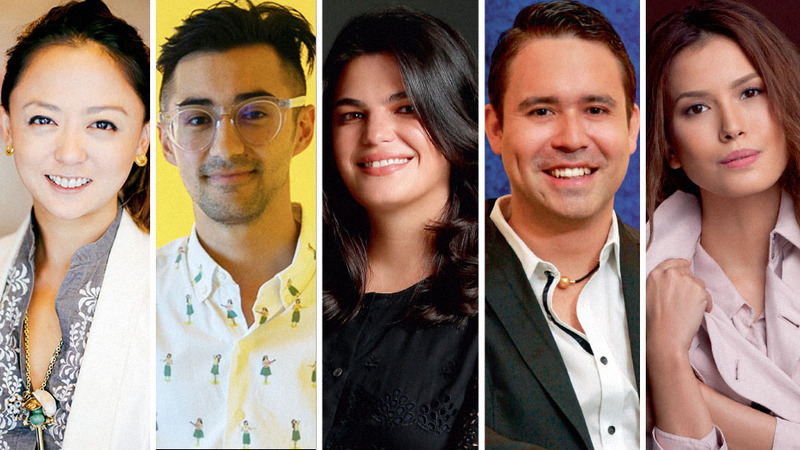 We round up inspiring individuals who are shaking up the country-and by extension, the world-and doing amazing things in their respective fields of interest. 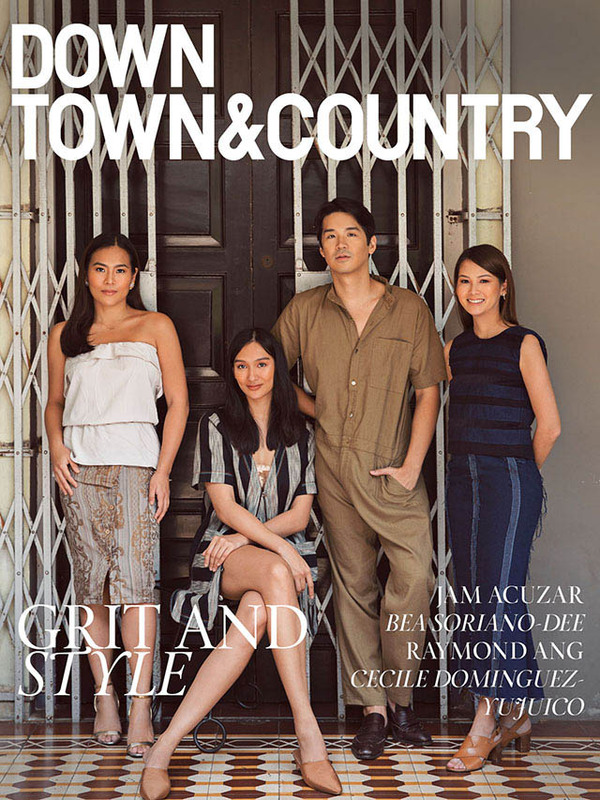 This month at Town & Country, we are celebrating the next generation of gamechangers—the so-called “millennials” who are well-informed and already racking up their own accomplishments. At the beginning of November, we released our annual list of Bright Young Things. There’s publisher, editor, and marketing whiz Raymond Ang, who together with his two partners, established Milk Man Marketing. 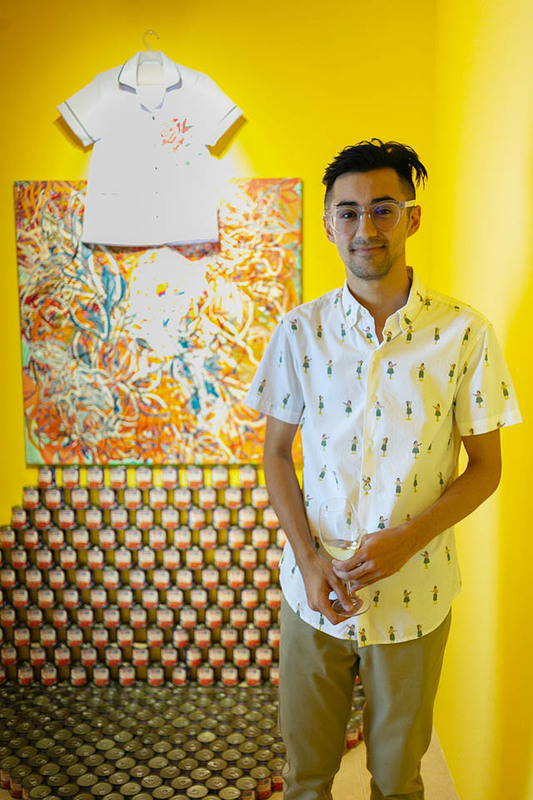 In the world of art, there’s art patron Jam Acuzar, who was recently named one of Asia’s 21 Young Leaders of 2018 for her non-profit Bellas Artes Project. We get to know beauty and fashion entrepreneur Bea Soriano-Dee, one-third of the team who built lifestyle empire Sunnies. Lastly, we talk to communicator and non-traditional marketer Cecile Dominguez-Yujuico, founder and CEO of Evident Communications. 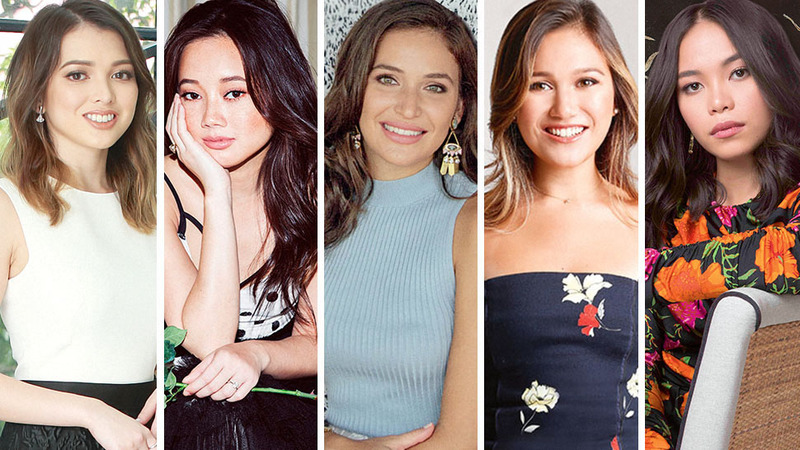 To complete our list of these rising go-getters, here are other young accomplished individuals who have made headlines this year. The Harvard-educated daughter of Jaime Zobel de Ayala and Lizzie Eder Zobel continues to shine through her latest role as deputy head of Ayala Malls. She had her go at working in New York at JP Morgan early on. When she returned in 2013, she went straight to work at the Ayala Corporation, slowly working her way up from an associate level. Her first major project was Ayala Malls the 30th, where, as general manager, she turned it into a lifestyle and community-focused space, more than just a venue for shopping and dining. Clarissa Delgado made the news earlier this year after being one of 20 individuals handpicked to be part of the inaugural batch of Obama Foundation Fellows. She was chosen for her work for Teach For the Philippines, which she co-founded in 2012 with her mother Margarita and Lizzie Zobel. 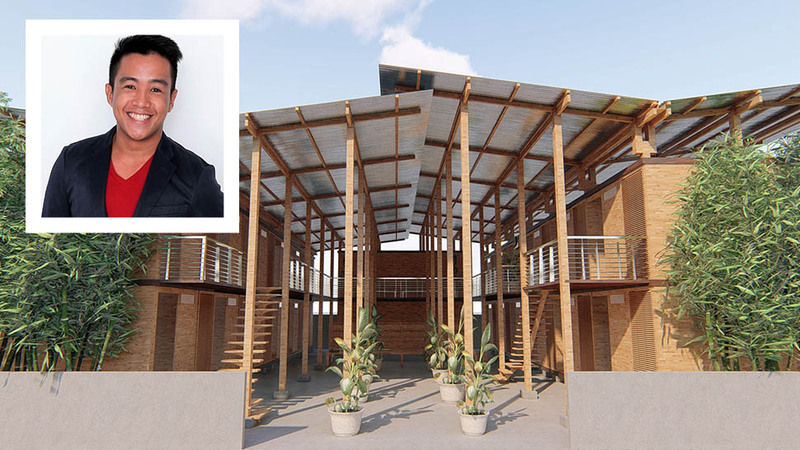 With Delgado as CEO for Teach for the Philippines, the non-profit has improved the lives of 10,000 unique students around the country, equipping them with quality education. She and her Teach for the Philippines co-founders were recently awarded Educators of the Year by PhilDev. Through her eponymous fashion label, Gabbie Sarenas resurrects traditional Filipino clothing and markets it in a way that attracts the stylish set of 2018. Her piña bibs were the star of her booth at this year’s Artefino. She began her career in fashion a decade ago, when she studied at the SoFA Design Institute. She later worked with Hindy Weber in 2011. “There are various inspirations for the label,” she tells T&C, “But the main thrust is to “write” a love letter to the Philippines that champions and immortalizes Filipino creativity using three elements: fabric, embroidery, and story.” Right now, she’s in the research and development phase of upcoming collections, while also fixing her new studio and catering to custom orders. The duo behind Bucky’s has brought their brand to a more mainstream location with the opening of Bucky’s at Power Plant Mall’s food hall, The Grid. They’ve expanded the menu at their new branch by offering meal boxes that combine savory favorites like their baked ziti, chicken tenders, and twister fries. Vargas originally came up with the concept of Bucky’s and he had enlisted his childhood friend Justin Golangco to head the kitchen. The pair hasn’t looked back since. Prolific painter Nicole Coson might be based in London, but she makes her presence felt here through the occasional exhibit in Manila. She recently wrapped up an exhibit at Silverlens, where she was the youngest artist whose work was featured in Painting, Differently, curated by Isa Lorenzo. Coson honed her talents during her years as a Fine Arts student in Central Saint Martins in London. She held her first solo exhibition in 2015. 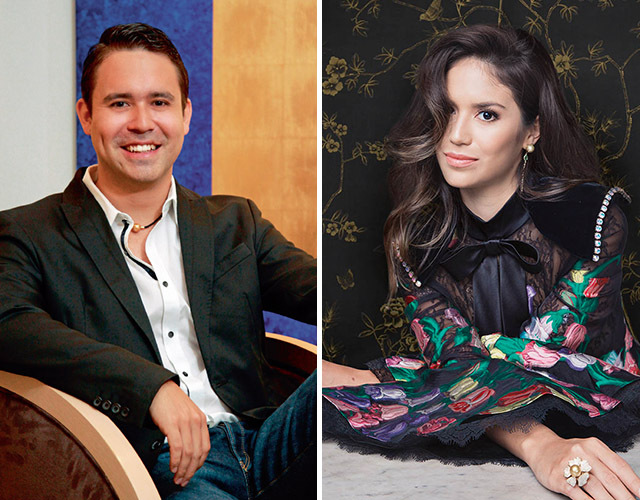 Siblings Jacques Christophe and Marion continue to champion the country’s national gem, the Philippine golden pearl, and the nation’s seas as executive vice president and deputy CEO and brand manager of Jewelmer, respectively. The company recently won the Sustainability Initiative of the Year award at the 2018 Jewellery News Asia Awards in Hong Kong. Jewelmer’s pearl farms in Palawan utilize solar energy and implement waste segregation. The area where the farms are situated are a marine-protected, no-take zone where nature thrives freely. The company also founded the Save Palawan Seas Foundation, introducing long-term conservation training in the surrounding communities, giving classes in organic vegetable farming, seaweed farming, cashew processing, and handicraft making. These gorgeous sisters are doing their parents proud by not only managing but also cultivating the family business, luxury furniture retailer Philux. Older sister Stephanie sits as vice president and business development head of the company, while Jessica handles the creative side of the business as head designer and visual merchandiser. The local brand’s latest release is a holiday collection in collaboration with potter Joey de Castro. Apart from work, the sisters are both avid travelers and doting mothers to their adorable children. 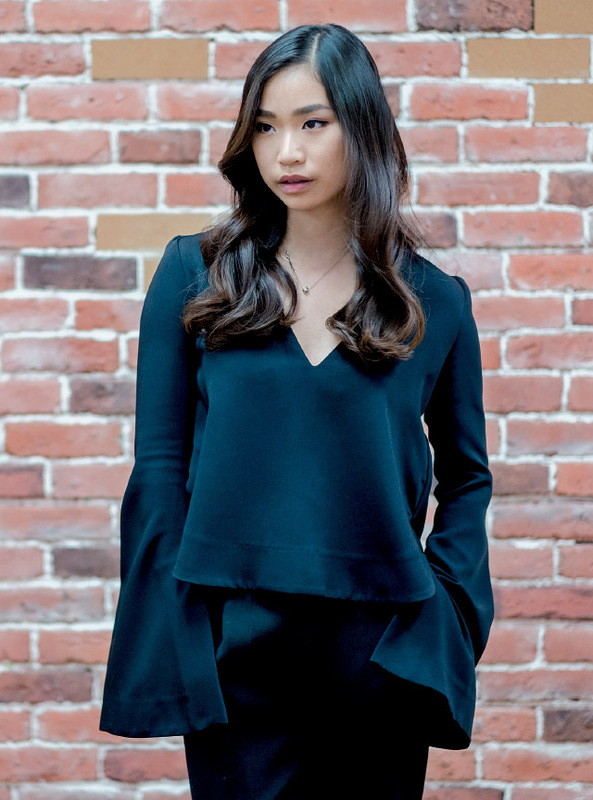 Stephanie Sy was one of six Filipinos to land on Forbes’ 30 Under 30 Asia list. The Stanford University graduate had immersed herself in a start-up called Wildfire Interactive at Silicon Valley before coming home and establishing Thinking Machines, a data science company. “The whole point of Thinking Machines is to take innovative data technology from the bleeding edge and make it work for the middle 50 percent of the world,” she said in an interview with OZY. This young Filipino-American model from Angeles City made fashion history earlier this month when she became the first-ever Filipino model to walk down the runway at the Victoria’s Secret Fashion Show. 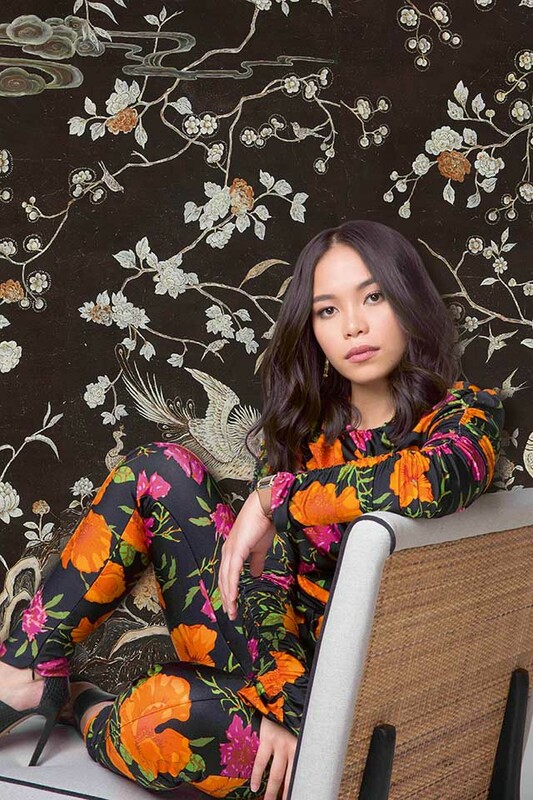 Despite receiving backlash for her American heritage, Merritt took the high ground by choosing to share this achievement with her fellow Filipinos, saying in an interview with Teen Vogue, “Getting the show is the dream come true but being the first Filipino woman to walk in the show means I’m making history. The show is broadcast on more than 190 countries with models from 20 countries and I got chosen to represent my region.” The Ateneo de Manila graduate shot to fame in 2015, landing various brand campaigns before she was scouted by New York’s Wilhelmina Models. 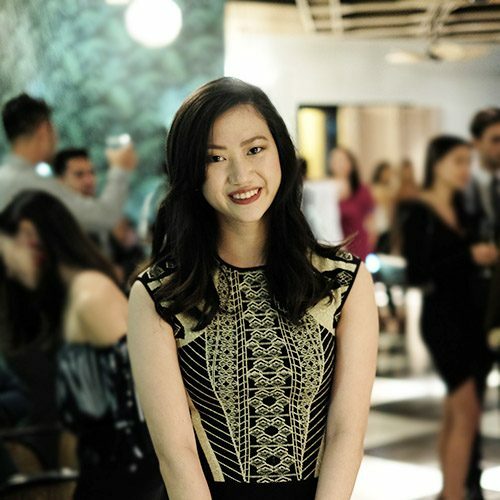 An established name in the local retail industry, Cara Sumabat has held several positions in local retail companies and has worked with designers in New York. Apart from her Communications degree from Ateneo de Manila, she also holds an Associate of Arts and Sciences Degree in Fashion Marketing from Parsons Schools of Design. In 2013, she co-founded HaloHalo, an accessories brand that elevates locally sourced, everyday materials through innovative designs. She is also one of the minds behind RSVP, an eveningwear rental service that launched earlier this year. Fashion designer Rosenthal Tee has earned her stripes in a global setting. After graduating from the prestigious Instituto Marangoni in London in 2013, she chose to return to the Philippines to establish her base here. 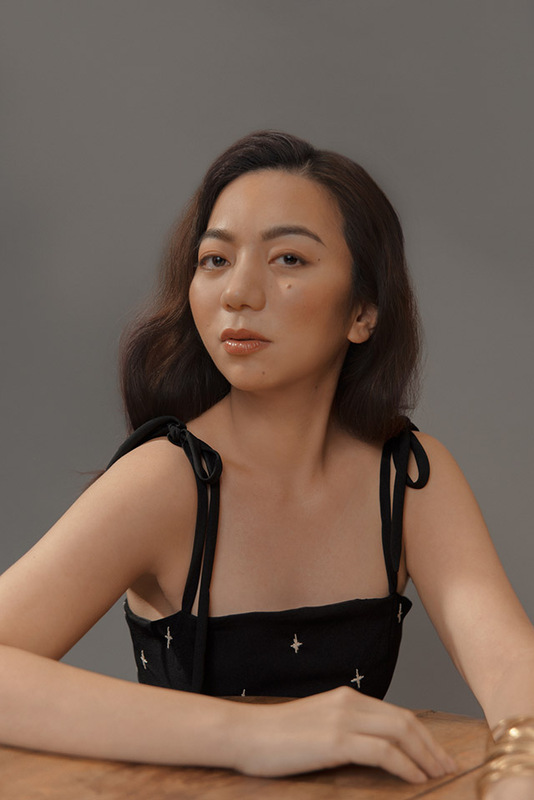 That did not stop this young go-getter, however, from presenting her ethereal and feminine designs at international platforms such as Malaysia and New York fashion weeks. 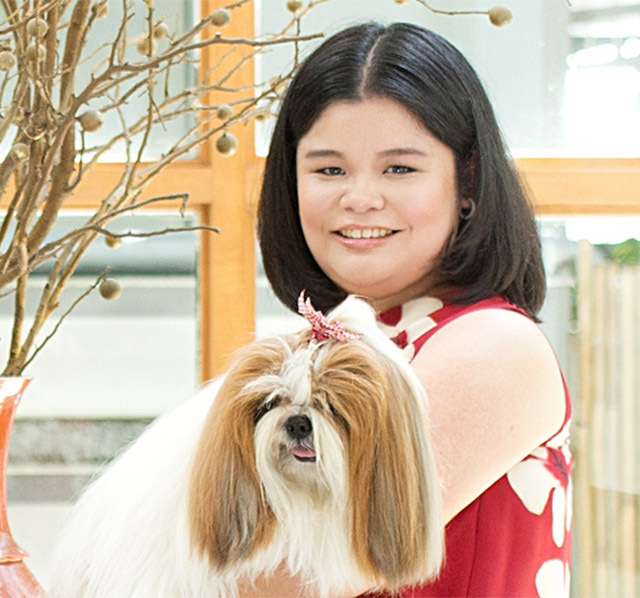 With an expanding list of loyal customers, she’s opened a second workshop in Ortigas, apart from her original digs in Marikina. She has also hinted at exploring ready-to-wear apparel and menswear. 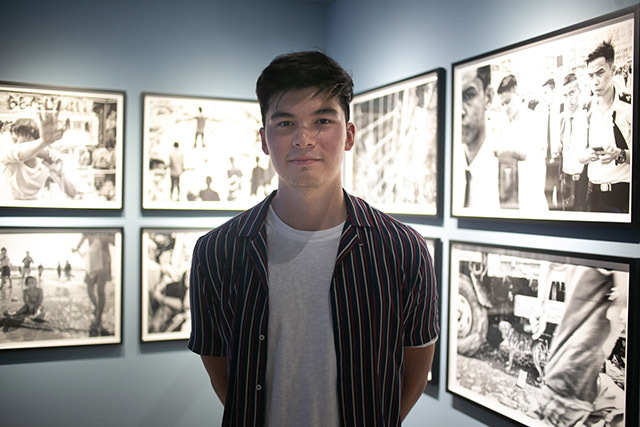 Brothers-in-law Erwan and Nico might spend more time together than they do with their wives, given that they spend their working hours in the same “office,” Hectare One, an obscure creative hub in Makati where pets roam free. Bolzico focuses on growing his agriculture businesses—one of his products is the eponymous Bolzico Beef—while Erwan creates food-related content for The Fat Kid Inside. 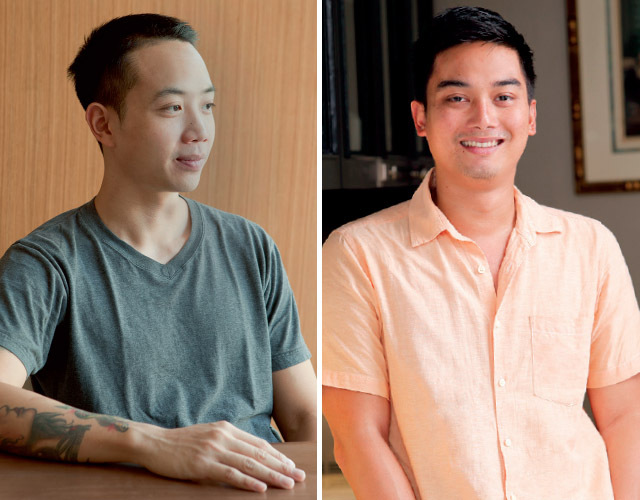 Apart from their famous personas, the two are ultimately businessmen who have created an enticing space for career-driven millennials to work in. 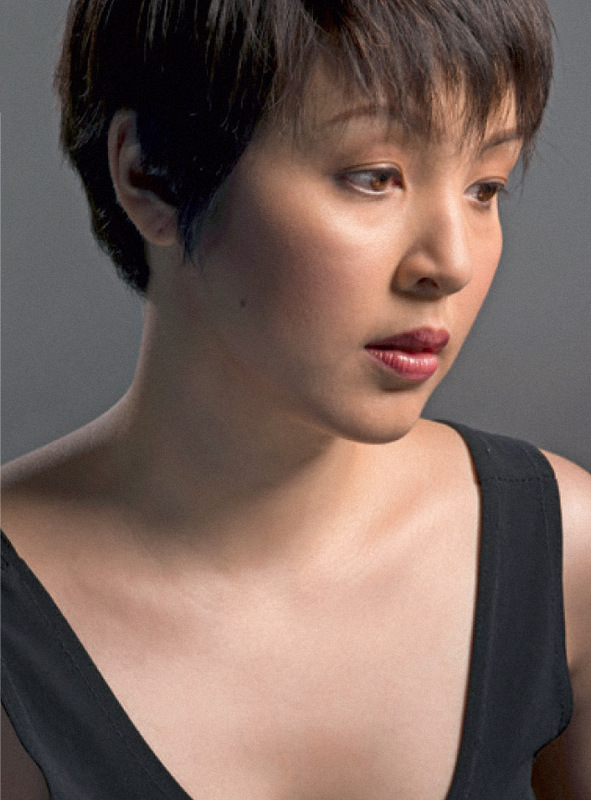 Many will know Cris Villonco for her stage performances, but this year, we got to see her in the director’s chair at the production of Red Turnip’s “A Doll’s House, Part 2.” She starred in numerous theater roles and launched her singing career at the young age of 9. She was then discovered by National Artist Ryan Cayabyab. After garnering multiple awards as a theater actress, she co-founded Red Turnip Theater, which produced musicals such as “Closer” and “Constellations,” which she also appeared in. Most people would have qualms about working with family members, but not sisters Bianca and Natalia, who co-own lifestyle emporium Lanai with their friend Maria Parsons. Together, they champion high-quality locally made products in their quaint two-story boutique-slash-café at the trendy Alley at Karrivin. Mecha Uma whiz chef Bruce Ricketts and former Preview editor Jae Pickrell cemented their longtime relationship when they tied the knot in Japan last year. Now, the partners in crime have been unstoppable. A few months ago, they opened up a La Chinesca stall at The Grid. 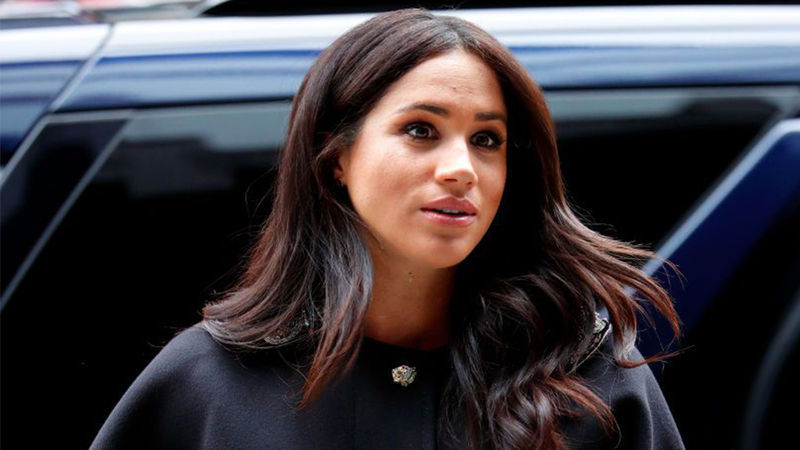 Aside from their booming restaurant business, the chic pair has been seen fronting campaigns for Carolina Herrera and most recently, hosting brand-sponsored brunches. In a short time, filmmaker Samantha Lee has swiftly forwarded the LGBTQ agenda through her two films, Baka Bukas in 2016 and this year’s Billie and Emma. She also makes it a point to work with an all-female cast and crew on her movies. Some of her bold story-telling in her first film actually comes from real-life experiences, she shares in an interview with Nylon Magazine. “I just wanted to see a representation of me and my friends on-screen,” she says. As executive chef of the Bistro Group, you would think that Josh Boutwood already has too much on his plate. But the unpredictable mastermind continues to surprise us. 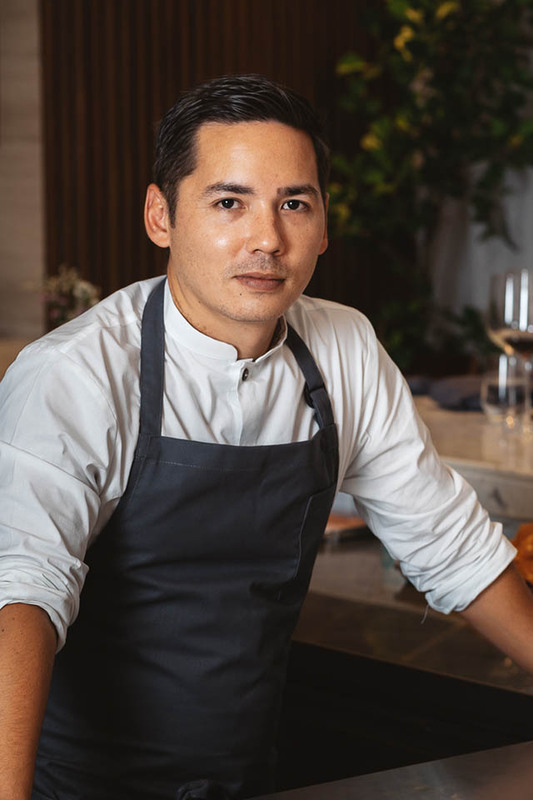 After The Test Kitchen and Savage, he opened Helm, an intimate 10-seater that serves up delicate and meticulously prepared dinners, and a burger stall at Power Plant’s The Grid. Through his portfolio of establishments, Boutwood continues to prove his versatility and his passion. T&C’s resident fashion columnist, newlywed Nicole Tantoco de los Reyes has a lot of relevant thoughts about the industry. Hailing from one of the country’s most prominent retail families, she definitely knows what she’s talking about. When she’s not writing, she works on the research team of Rustan’s creative office. At 25, London College of Fashion-trained designer Carl Jan Cruz can already count dressing musician FKA Twigs and being on Vogue Italia and Love Magazine’s radars as some of his accomplishments. It was after a stint at Phoebe Philo’s Céline when Cruz decided to fly back to the Philippines and present his capsule collection focused on raw edge denim. From there, he quickly became a favorite of the city’s stylish set while appearing on international features here and there. Cruz aims to showcase the raw beauty of the Philippines and the people who inhabit it with his designs. 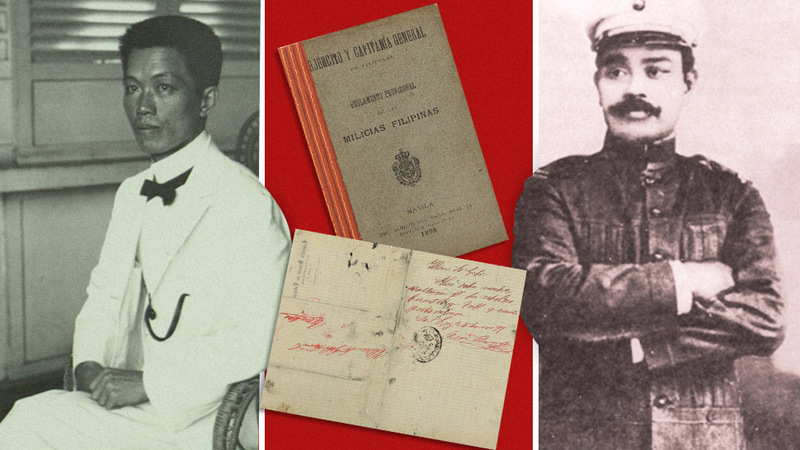 The son of chef and restaurateur Margarita Forés, Amado clearly got his mother’s passion for food. A quick look at his Instagram feed will show you several of his discoveries, but beyond that, he’s also dipped his toe in the food industry with NoKal where he assists cousin, owner Raul Fores. Early this year, he was involved in the Philippine pop-up of Wagyumafia which is slated to open soon. Fores has a couple more concepts in the works, which, we're sure, will be something to look forward to. Cebu-born Mia Arcenas-Branellec is one of the fashion designers advancing the local industry. 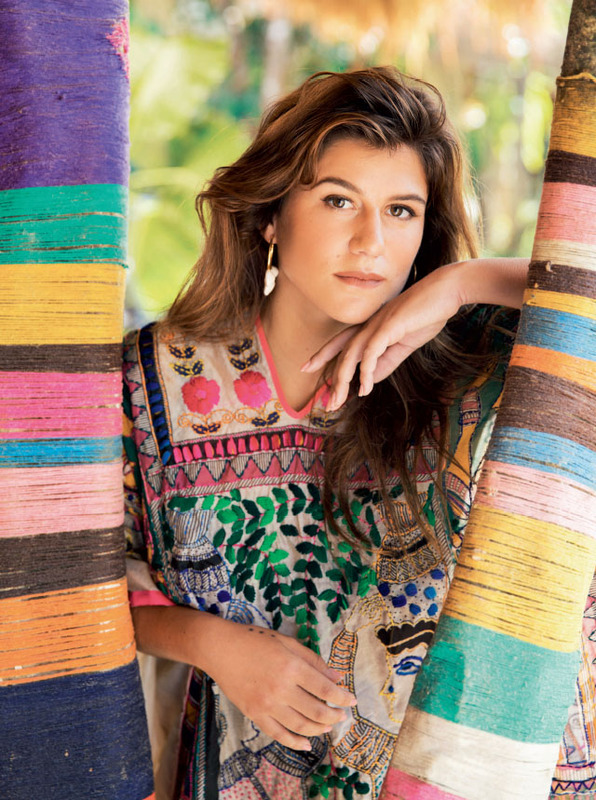 Through her eponymous brand, she creates one-of-a-kind, proudly local resort wear and accessories. What sets her work apart is her ingenious use of precious materials including silk, crystal, mother of pearl, and more. Arcenas’ pieces are stocked in luxury resort boutiques in Malaysia, Hong Kong, Dubai, and the Maldives. Along with her namesake brand, she founded LAHI, a lifestyle brand, with Solenn Heussaff and Vavi Heussaff-Small. Scientist Reina Reyes is one of the Filipinos making a mark in the predominantly male field of astrophysics. 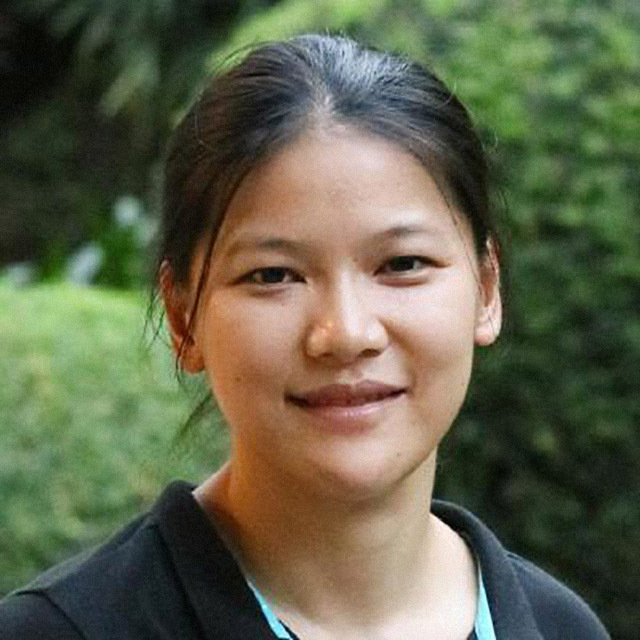 At 34, she’s written two books on galaxy clusters and quasars. She earned her physics degree from the Ateneo de Manila Unversity and her PhD in astrophysics from Princeton University. In 2008, she was awarded the Chambliss Astronomy Achievement Student Award for her research on obscured quasars. These days, her interests lie in data analytics and visualization. The daughter of tycoon Enrique Razon, Katrina, is not one to rest on her laurels. 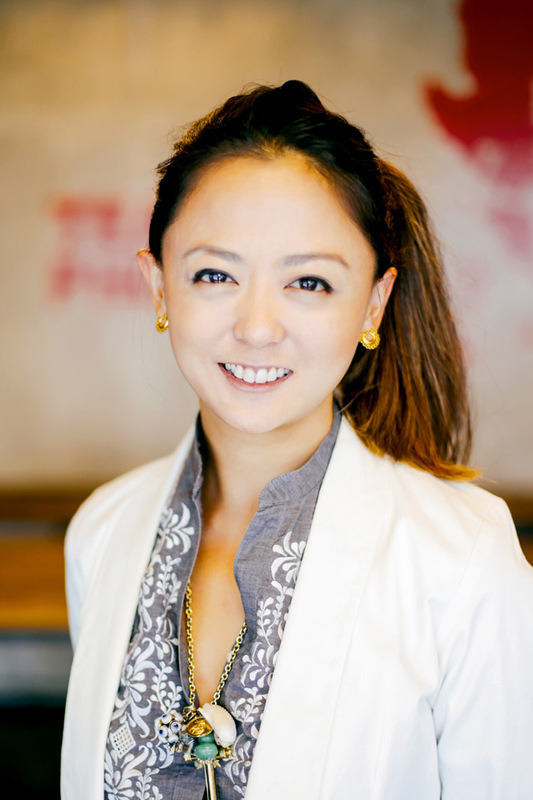 Instead, she put her love of music and the arts to work as the founder of investment vehicle KSR Ventures, director at Wonderfruit Festival, and managing partner at Third Culture Music + Media. In 2017, she was invited to speak at Forbes’ Under 30 Summit for “breaking the glass ceiling alongside trailblazing women.” An activist at heart, Razon advocates for wildlife conservation, child welfare, and environmental sustainability. In 2015, Sofie Borromeo launched her brand, Sofie.B, with one goal in mind: “To promote Filipino artisans, and their craft, in contemporary designs for global appreciation.” A graduate of the Savannah College of Art and Design, Borromeo’s designs have been lauded by the likes of Marie Claire, WWD, and the CFDA. Sofie.B has created a total of 16 collections so far which has had 9 private shows, five collaborations, and two international events in Hong Kong. The line has since expanded to custom-made orders, bridal, childrenswear and though exclusively sourced vintage and antique home and accessories, a lifestyle brand. Having just finished his master’s degree at Columbia University, Brian is out to give back to the country as an entrepreneur. These days he’s keeping busy with Barley & Craft, Habitat for Humanity, and Time Master Watches. His watch brand was, as he says, one of his “passion projects” which he perfected by scouring Asia for the best materials. As an advocate for education, he set up Time Master to support underprivileged children together with Alex Eduque’s organization MovEd. 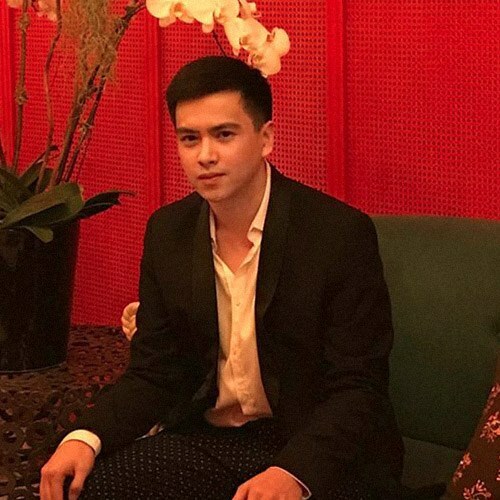 The son of Enrique K. Razon and Lizzy Santos-Razon is making waves in the world of art. After graduating from Emerson College in Boston, Enzo actively entered the local art scene with exhibitions in various mediums including film, photography, painting, and production design. Razon is one of three partners behind Tarzeer Pictures, along with Gio Panlilio and Dinesh Mohnani. In 2016, an experimental film he was involved in was accepted into Cannes Film Festival’s Short Film Corner. As a photographer and photo editor, Gio’s work focuses on documentary and fine art. He is one part of creative content agency Tarzeer Pictures, with Enzo Razon and Dinesh Mohnani. In his spare time, he writes short stories and participates in exhibitions. In his last one, Barado, he presented a deeply personal work with a series on alienation and longing. 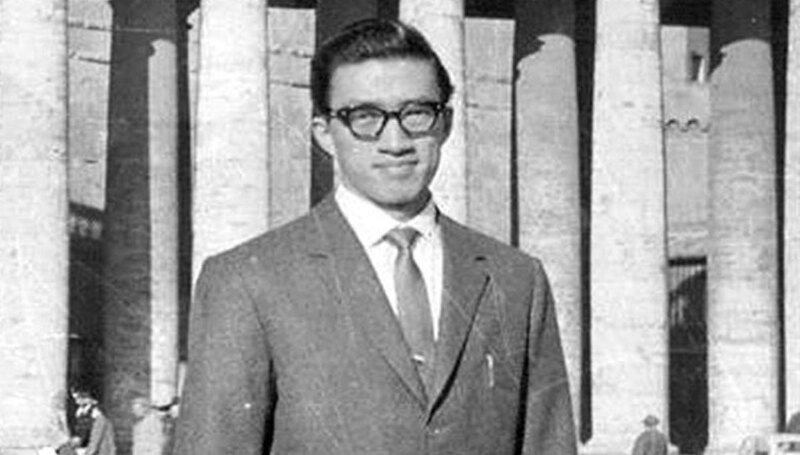 The son of Bea Zobel Jr., Jaime finished his degree in political science and government from the University of Notre Dame. He worked in J.P. Morgan as an analyst then an associate for three years. The scion also has interest in the food industry with his restaurant Berde which serve healthy meals. After recently completing his MBA from one of Europe’s most prestigious schools, INSEAD, Jaime is ready to help take the Ayala Corporation into the future. Selina is one of three of Tina Maristela Ocampo and Ricco Ocampo’s daughters. 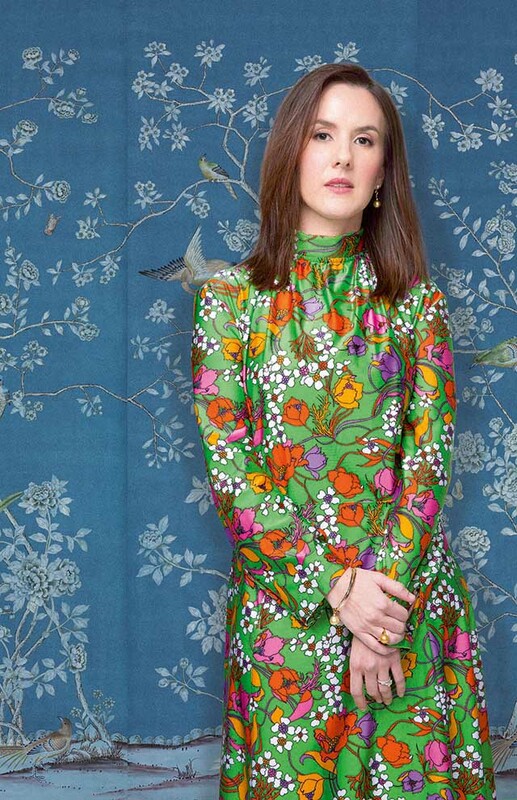 After a stint at Eugene Lang, the liberal arts college of The New School in New York City, she cross-enrolled at Parsons to pursue a dual degree. But her love of food led her to enroll at the International Culinary Center and today, she works at exclusive members-only club Manila House under the direction of chef Gilbert Pangilinan. In addition to that, she shares the title of creative director at stylish footwear brand Daily Schedule New York with sisters Betina and Juliana. Armed with an Environmental Development degree from the University of New South Wales, Marianna Vargas works at the Oscar M. Lopez Center. There she works together with the team to create science-based solutions for climate change, a cause she’s picked up from her grandfather. “The social injustices brought about by irresponsible management of the environment are what I am concerned with today. The country is, and perhaps will continue to be, one of the most vulnerable countries to climate change, a problem we are not even responsible for causing,” she tells Lopez Link. 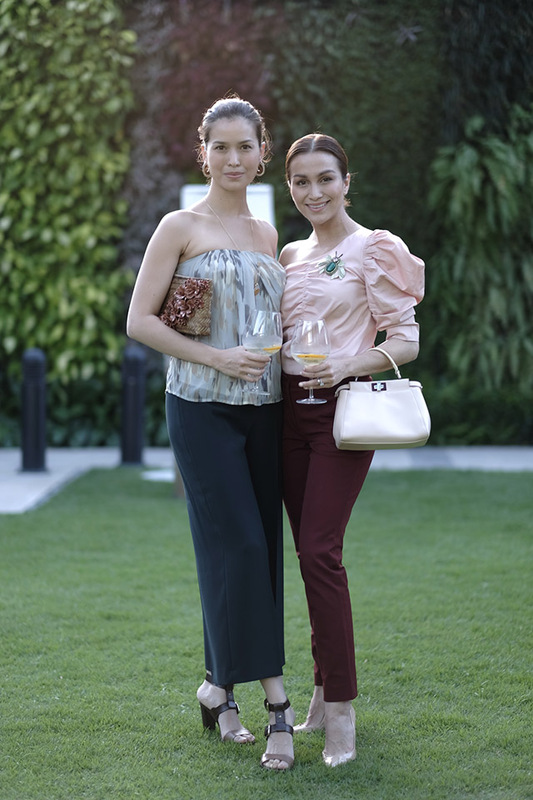 Paloma, the eldest daughter of Bea Zobel Jr., has followed in her mother’s footsteps by developing a passion for the Philippines. Through her brand, PIOPIO, she makes use of textiles by several indigenous tribes around the country to create modern and trendy everyday wear. In addition to championing Filipino crafts, Paloma also values sustainable tourism. This love led her and her mother to move to Lio in Palawan where Ayala Land is building a sustainable property. Recently, she added Kalye Artisano, an arts and crafts community project in El Nido to her long list of accomplishments. Following in his father’s footsteps, Palme d’Or winner Raymond Red, 27-year-old Mikhail wrote and directed Birdshot. Starting at an early age, he wrote and directed his first short film at the age of 15. Since then, he’s created seven film under his name: Kamera (2008), The Barriers (2009), Hazard (2010), Innocence (2011), Rekorder/Recorder (2013), Birdshot (2016), and Neomanila (2017). Raffy was working at Tokyo as an interior designer when he felt he needed a change of scenery. So, he headed to the Philippines, his mom’s homeland, and started Pangasinan-based organic vegetable farm Teraoka Family Farm. As chief farming officer, he turned a 500 meter lettuce plot into a four-hectare vegetable farm. Today, the farm is the Ilocos region’s first and only organic certified farm by the Organic Certification Center of the Philippines. A graduate of Georgetown University, Samantha is one of the three minds behind 3BORO, a New York-based activewear brand available in Manila at Aura Athletica. The founders of 3BORO saw the need for diversity in athleisure, which is what they set to champion through their brand. In 2016, she co-founded communications and service consultancy firm Speakup Philippines with Nadia Uttamchandani after seeing that there was a gap to fill in their country. Today, the firm works with corporations and educational institutions to customize training programs. 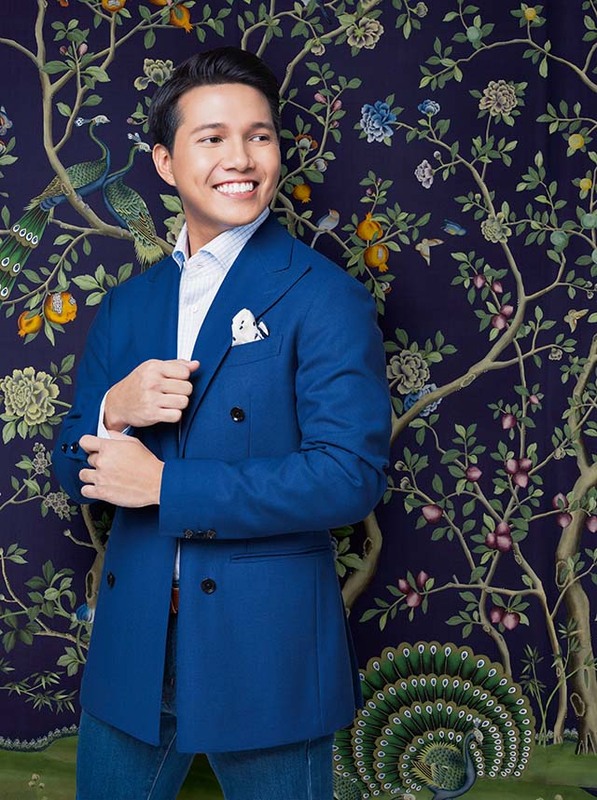 This former professional athlete holds a degree in globalization studies and curates the Global Shaper Manila Hub under the World Economic Forum. As the chief farmer of Earthbeat Farms, Enzo champions the planting and growth of fresh produce. By doing this, he aims to grow the food movement in the country. His farm supplies arugula, lettuce, kale, herbs, tomatoes, and eggplant in the various restaurant around Manila. 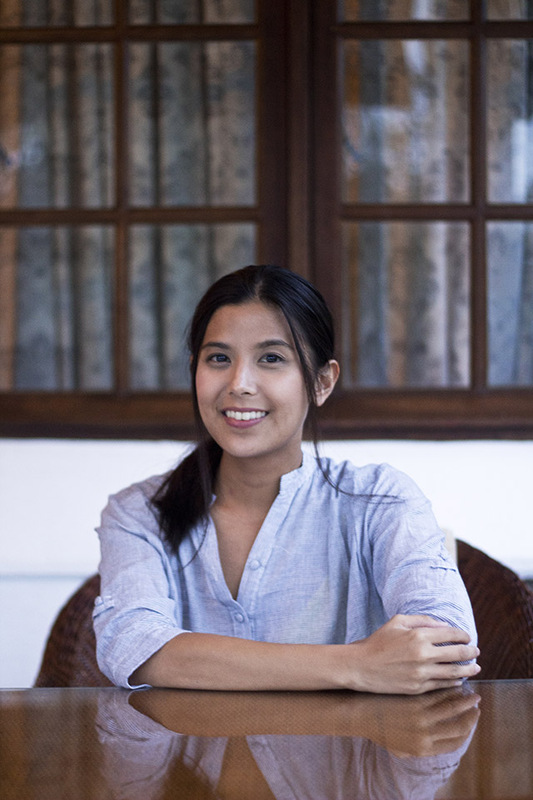 This Filipino-French entrepreneur is the founder of online youth platform Edukasyon.ph. 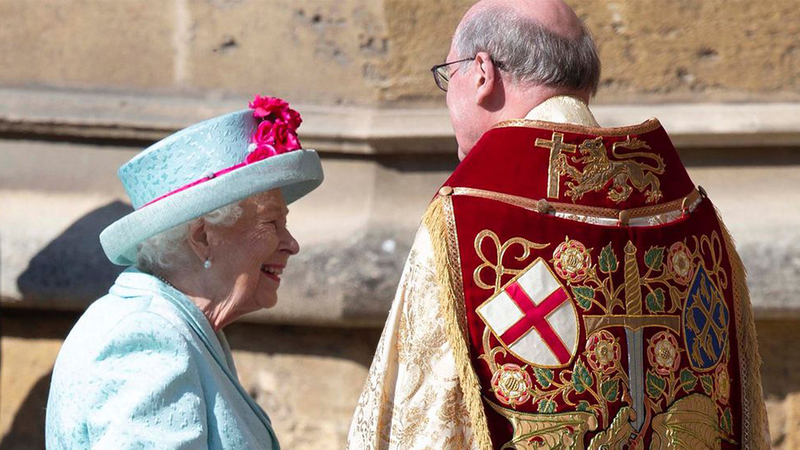 A graduate of the London School of Economics and Harvard Business School, Henry started as an analyst at Goldman Sachs before becoming a board member at non-governmental organization Bantay.ph. He was inspired to start Edukasyon.ph after seeing his cousin apply for college, and he saw the need to help kids make the right choices. Currently, Edukasyon.ph has over 100,000 registered users, 350 partner colleges and 25,000 inquiries & applications. 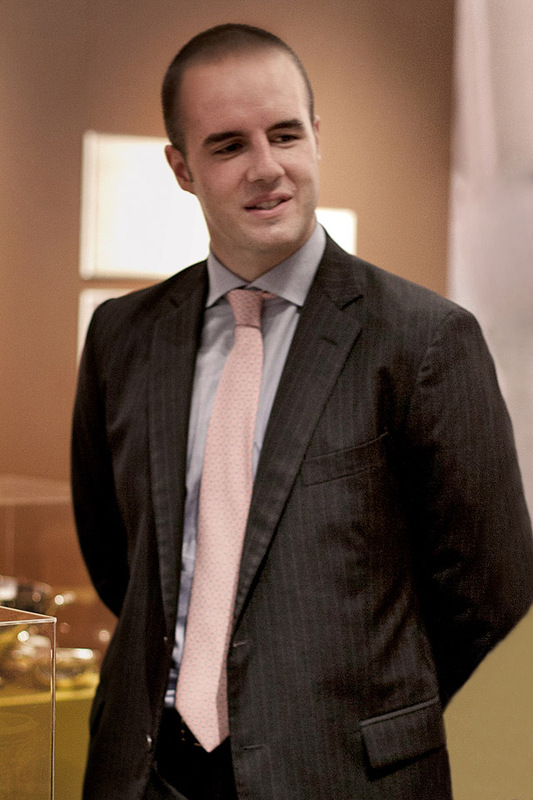 After graduating from Boston College, Alex began his career at Deloitte Consulting with a focus on systems integration. 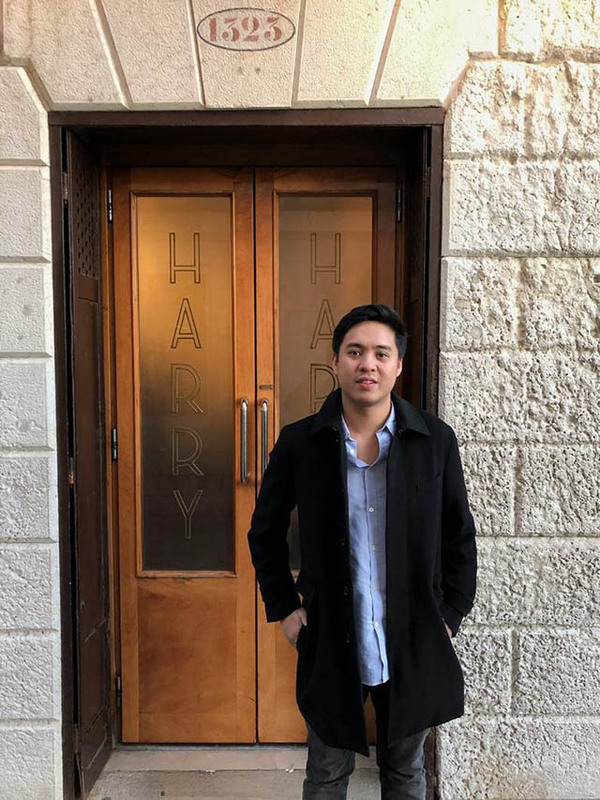 He spent five years at Google Philippines before moving to Facebook and Instagram to undertake product marketing initiatives for Southeast Asia. He’s the man behind the new products and innovations under Instagram’s Stories feature and WhatsApp.